Pennsylvania is a state abundant in a large diversity of trees, shrubs, grasses and flowers. This northeastern state, known as "The Keystone State," is divided by the Appalachian Plateau into northern and southern growing zones. 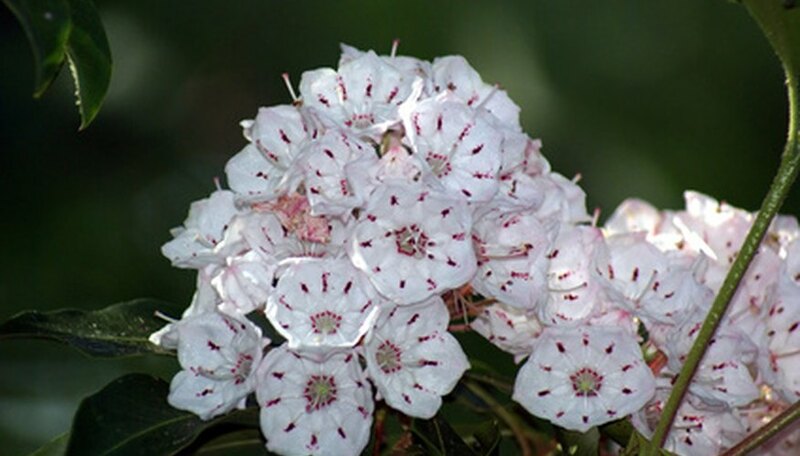 Besides its hemlock trees, Pennsylvania is known for the soft pink and white blooms of the mountain laurel, which is the state flower. Some common Pennsylvania grasses include big bluestem, switch grass and Indian grass. About 3,400 plant species grow wild in Pennsylvania, according to the Nature Conservancy in Pennsylvania website. However, Pennsylvania’s native plants consist of less than 63 percent of the vascular flora of the state, says the University of Pennsylvania Press website. Roughly 30 percent of these are listed as having special concerns. Over 5 percent of the state’s native plants are considered extirpated or terminated. Another 20 percent are endangered, with 52 percent considered rare and 3 percent classified as vulnerable. Pennsylvania mostly has two horticulture zones: Zones 5 and 6. USDA Zone 5, which lies in the northern half of the state, has higher elevations, and the average minimum temperature is 10 degrees to minus 20 degrees F. The state’s southern half is in USDA Zone 6 and has lower elevations, with an average coldest temperature of 0 degrees to minus 10 degrees F, notes the Pennsylvania Department of Conservation and Natural Resources. Redbuds are shrubs or small trees with purple flowers in spring. The maple-leaved viburnum is a multistemmed plant or shrub with white flowers and edible berries. Buttonwood trees produce an interesting fruit and have white flowers that bloom from June through September. The silky dogwood is multistemmed and produces white summer flowers and blue berries. The witch hazel, a flowering plant with yellow, fragrant flowers, has been used for medicinal purposes. Corn cockles are hairy purple or red flowers found in grain fields throughout the state. They grow as either annuals or biennials to roughly 1 to 3 feet tall, says the Botanical Society of Western Pennsylvania. Wild gingers are cup-shaped brown flowers that usually grow in the rich, moist, shady woods found throughout Pennsylvania. The golden club has many yellow blooms and elongated leaves, forming a clump that arises from its rootstock. It typically grows in swamps and bogs in the southeastern and eastern counties of the state. Several Pennsylvania plants are poisonous, such as baneberries, which are erect plants that have thick root stalks and produce red and white berries. Both the foliage and fruit of the baneberry (Actaea rubra) are moderately toxic, according to the University of Pennsylvania School of Veterinary Medicine. Clinical signs of poisoning may include diarrhea, vomiting and colic, or neurological symptoms of weakness and seizures.